What’s more magical than a fantasy adventure with Disney’s brand new heroine, Elena? 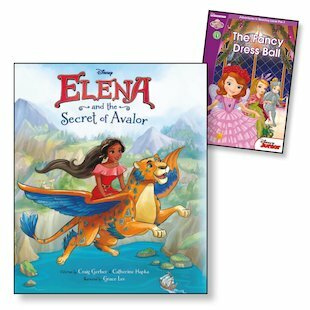 That same adventure with a FREE storybook about another best-loved Disney princess, Sofia. Princess Elena from the kingdom of Avalor has been magically trapped inside an enchanted amulet. Only another princess can set her free. Will Sofia be the one to save her? We’re not telling – but when you read these books, you’ll find out!